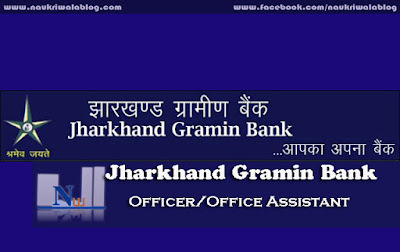 Jharkhand Gramin Bank, sponsored by Bank of India, was established on 12th June, 2006, consequent upon amalgamation of four erstwhile Regional Rural Banks – namely, Ranchi Kshetriya Gramin Bank, Singhbhum Kshetriya Gramin Bank, Hazaribag Kshetriya Gramin Bank, and Giridih Kshetriya Gramin Bank. The amalgamation took place vide Government of India Notification no. F.No.1/4/2006 dated 12.06.2006, and the amalgamated entity, Jharkhand Gramin Bank, continues to function under the ambit of the Regional Rural Banks Act, 1976, an Act enacted by the Government of India for “... developing the rural economy by providing, for the purpose of development of agriculture, trade, commerce, industry and other productive activities in the rural areas, credit and other facilities, particularly to the small and marginal farmers, agricultural labourers, artisans and small entrepreneurs, and for matters connected therewith and incidental thereto. 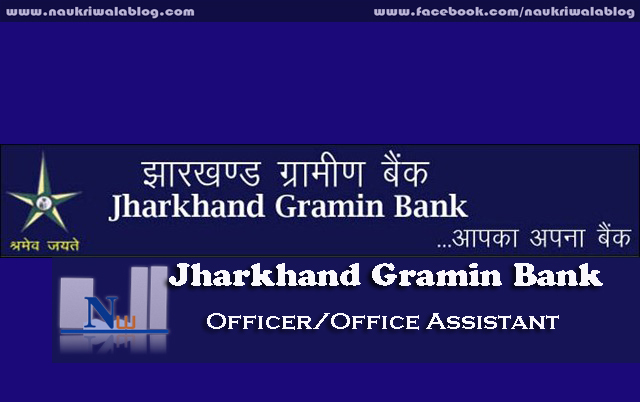 Head Office of Jharkhand Gramin Bank (JGB) is located in Ranchi, the Capital of Jharkhand State, India. JGB is operating in 15 out of 24 districts in the State of Jharkhand, and it has a network of 224 branches, under the jurisdiction of four Regional Offices. · Officer Scale-II emoluments Rs. 42137/- per month + other allowances. · Officer Scale-I emoluments Rs. 31494/- per month + other allowances. · Office Assistant (Multipurpose) emoluments Rs. 17416/- per month + other allowances. Eligibility : Eligibility Criteria is to be considered as per RRBs CWE-III Advertisement published in Employment News/Rozgar Samachar Issue Dated 28th June-4 th July, 2014 released by IBPS and posted on the IBPS’s website. Candidates have to apply online through Bank's website http://www.jharkhandgraminbank.com and click on the link "Recruitment". While applying candidates have to carefully go through all instructions. Language Proficiency:- Candidates applying for the posts of Officer Scale-I and Office Assistants (Multipurpose) are required to possess proficiency in Hindi and in the local language of the State/ UT. (Note: This condition does not apply for the posts of Officer Scale-II). Interview Centre: The Interview will be held at the RANCHI centre and the complete address of the venue will be advised in the call letters. The address of the venues will also be displayed in the Bank’s website one week before the dates for commencement of Interviews. How to Apply:- Eligible and interested candidates, who are meeting eligibility criteria, are required to apply strictly Online only through Bank’s . For More Detail Please Visit website: www.jharkhandgraminbank.com.